Crown Point Community Foundation - Various awards are available. Complete the application at www.thecpcf.org no later than February 22, 2019. IASP High School Scholarship - $500 - This award is for students pursuing a career in the field of psychology. Download the application at https://iaosp.wildapricot.org/page-1862824. The application postmark deadline is March 1, 2019. Kankakee Valley REMC Scholarship - Two $2,000 scholarships and Four $1,000 scholarships are available. To be eligible for this award, students must have a parent or legal guardian who is a consumer of Kankakee Valley REMC and participating in Operation Roundup as of February 1, 2019. Please see Mrs. Symer for the application, which is due to the Wanatah office with all supporting materials no later than March 1, 2019. Just 4 Kids Salon Scholarship - $500 - To apply, students must submit an original article (1,000 words minimum) pertaining to the field of children’s cosmetology. Find out more at https://just4kidssalon.com/scholarship/ and apply by March 1, 2019. Information Security Scholarship - $5,000 - Applicants must be pursuing, or plan to pursue, a degree with a focus on cybersecurity or information assurance and have a GPA of 3.3 or above. Go to https://iamcybersafe.org/scholarships/undergraduate-scholarships/ for more information and apply no later than March 1st. Regional Federal Credit Union Next Generation Scholarship - $500 - To apply, each student must submit a short essay (250-750 words) answering the following question: Why is saving money important? The winner will be required to take a picture with a REGIONAL representative and open up a savings and checking account where the winnings will be deposited. See Mrs. Symer for more information. Application materials are due by March 14, 2019. 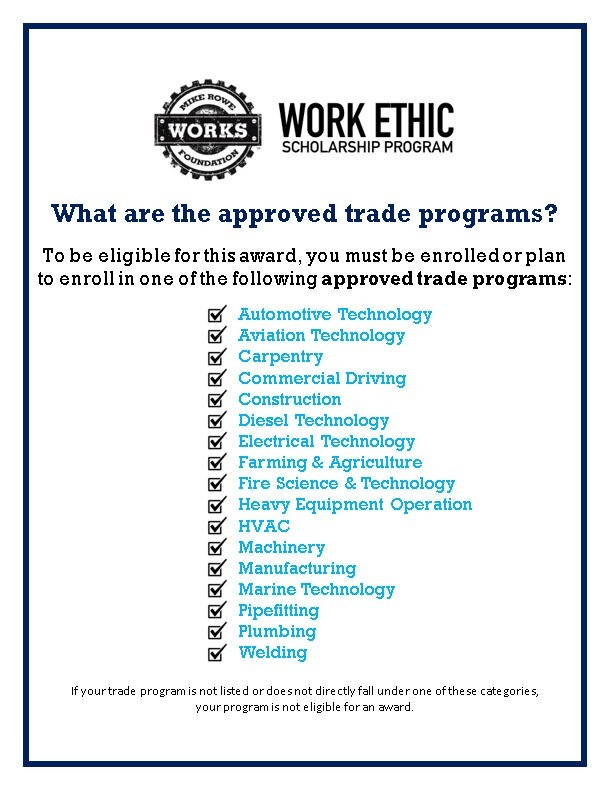 Mike Rowe Work Ethic Scholarship Program - This program was created to financially support students entering the skilled trades. The deadline to submit applications is Thursday, March 28, 2019. KFC REACH Educational Grant Program - $3,000 - This program provides tuition assistance for employees of KFC who have a 2.5 or higher GPA. Find out more at http://programs.applyists.com/REACH/ and apply no later than March 28th. University of the Aftermarket Foundation Scholarship - $10,000 - This award is for students planning to pursue post-secondary training in the automotive, heavy duty, or collision repair fields. Access the online application at https://www.automotivescholarships.com/apply_online.cfm. The application deadline is March 31st. Indiana Sheriff’s Association Scholarship - $750 - This award is for graduating seniors who plan to continue their education at an Indiana college or university in the criminal justice field. Applicants must be current members of the association or dependent children or grandchildren of current members. 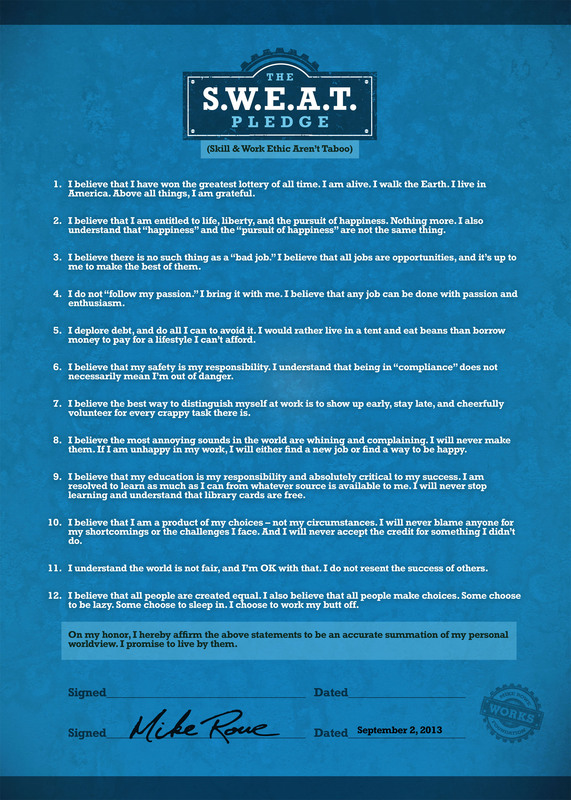 *If you do not meet the membership requirement, a membership application is available. See Mrs. Symer for all application materials. The scholarship deadline isApril 1, 2019. Indiana Athletic Trainer’s Association (IATA) - $500 This program provides scholarships to high school seniors pursuing a college degree in athletic training at a Commission on Accreditation of Athletic Training Education (CAATE) accredited college within the State of Indiana. Pursue a college degree in athletic training. Enroll in an Indiana CAATE accredited college. Have three written recommendations (on forms) from a licensed and certified athletic trainer (LAT/ATC) who is a member of the Indiana Athletic Trainers’ Association (IATA), one from a high school teacher the applicant has had for course work, and one from the student’s community, that is a coach, employer, minister, etc. Valparaiso Woman’s Association Scholarship - $500 - The Valparaiso Woman’s Club is 123 years old and has been supporting women in our community since the day it began. The club is offering 2 scholarships this year for seniors in any Porter County high school. See Mrs. Symer for an application, which is due back to her by April 5th. Aimee Mishler Scholarship - $500 - This award is sponsored by a successful Washington Township graduate. Female student athletes who plan to pursue a career in healthcare are encouraged to apply. See Mrs. Symer for the application, which is due by 3 p.m. on April 16, 2019. Construction Advancement Foundation Scholarship - $2,500/year, renewable for 4 years - This award is for students pursuing a career in construction or a related field (i.e. Construction Management, Civil Engineering, Project Management, etc.). Applicants must have a 3.0 or higher GPA. See Mrs. Symer for an application. All materials are due to the foundation by March 29th. Indiana APWA Scholarship - $1,000 per year for 4 years - Graduating seniors pursuing a degree in a public works related field such as Civil Engineering, Environmental Engineering, Park & Recreation, Municipal Planning, Public Administration, Public Works, Municipal Operations and Fleet Management are eligible to apply. See Mrs. Symer for an application, which must be submitted via e-mail no later than May 8, 2019. Submit a 500+ word essay on this topic: Do you have a conventional or non-conventional family and what does your family mean to you? For more detailed information about the scholarship and the submission process, please visit: https://www.dbdlawfirm.com/scholarship/. The application deadline is July 12, 2019. Corban Gunn, Attorney at Law - $1,000 - To apply, you’ll need to submit a 500+ word essay on the following topic: What book changed your life and why? For more details on scholarship parameters and instructions, visit https://www.corbangunn.com/scholarship/. The application deadline is July 12, 2019. Belsky, Weinberg & Horowitz, LLC - $1,000 - All applicants will need to write an essay on the following topic: If you could change one event in U.S. history, what would it be and why? Find out more about this scholarship opportunity at: https://www.belsky-weinberg-horowitz.com/scholarship/. Applications are due by July 12, 2019. Welsh & Welsh PC, LLO - $1,000 - To be considered for this award, students must write a 500+ word essay on the following topic: What is one small change you can make in your life that could impact the world in a positive way? Find out more at https://www.welsh-law.com/scholarship/. Apply by July 12, 2019. Law Office of Mike Campbell - $1,000 - Applicants will be required to write a 500+ word essay on the following topic: How can college students help each other avoid becoming victims of violent crime? Go to https://mikecampbelllaw.com/scholarship/ for further details and apply by July 12th. Bey & Associates, LLC - $1,000 - To be considered for the award, applicants will need to write a 500+ word essay highlighting their career aspirations through the years. Find out more at: https://www.beyandassociates.com/scholarship/. Applications are due on or before July 12th.